I am consolidating the content of all of our blogs at our Georgia Family Law website. Please join us there for new posts and to find all of our old posts. The expiration of key laws in Congress may expose more local individuals to estate or “Death Taxes” after their passing. Atlanta attorney, Steve Worrall explains these anticipated changes, as well as steps Georgia residents can take now to take now to ensure more money goes to their family—and not Uncle Sam—after death. ATLANTA, GEORGIA (08/08/2012)- You’ve worked hard to save money, accumulate assets and leave your loved ones an inheritance after your passing. But according to Steve Worrall, an estate planning attorney in Atlanta, the expiration of key tax laws in Congress may now put more local families at risk of owing more than half of their inheritance in “death taxes” after the first of the year. If Congress does nothing and the legislation expires, the estate tax will revert from a $5 million exemption to $1 million on December 31st. That means if your estate is worth over $1 million at your passing, your family may be on the hook for significant taxes up to 55%. For many people, when you add up the value of your home, life insurance policies, investments and assets, $1 million is usually closer than you think. The payment is due in cash just 9 months after you die (or the 2nd spouse dies if you are married), often forcing loved ones to sell assets quickly at depressed market or “fire sale” prices to satisfy the bill. There’s a very real chance that up to half of the inheritance you worked so hard to leave your family will go to Uncle Sam. The good news, Worrall says, is the estate or “death tax” is entirely voluntary and there are steps you can take right now to minimize your exposure. He explains that one such strategy is to utilize the lifetime gift tax exemption, which also set to expire at the end of the year. This law allows you to remove up to $5.12 million (or $10.2 million for married couples) out of your “taxable estate” by gifting it now to future generations. On December 31st at midnight, the exemption amount significantly drops to $1 million. In other words, for the rest of this year, Worrall says that parents can pass along valuable assets to their heirs up $5.12 million (i.e. a house, stock portfolio, part of the family business), without paying a single dime to Uncle Sam. Worrall further notes tools such as living trusts can also be used to minimize your exposure to burdensome taxes after your passing. Your estate planning attorney will advise you on the best strategies to implement based on your wishes and financial needs. Because proper estate tax planning requires getting appraisals, amending titles and creating airtight documents, Worrall warns that planning must be started now to ensure everything is finalized before the end of the year. He says estate planning firms across the country are already busy handling year-end estate tax planning, and encourages individuals affected by these changes not to wait until the last minute to get professional help. For more information on upcoming changes to the estate tax laws or on Atlanta estate planning attorney, Steve Worrall, please visit GeorgiaFamilyLaw.com or call 770.425.6060. As our parents get older and begin to lose their independence, many will turn to their adult children to help them navigate the complicated and costly world of long-term care. Yet for adult children already caring for young kids of their own, this new role of “caregiver” can be a difficult one to assume. It’s no wonder this group of people is known as the “Sandwich Generation” as they are literally ‘sandwiched’ between the pressures of raising a family, holding down a job and managing mom or dad’s growing medical and financial needs. As tempting as it is for Sandwich Generation Kids to bury their heads in the sand and deal with long-term care issues as they arise, failing to plan far enough ahead can cause your family to miss out on important benefits, long-term care opportunities and the ability to stay in control during mom or dad’s final years. 1. Find out if your parents have an estate plan and whether it’s been updated in the past 5 years- The will, trust, powers of attorney and health care directives your parents created years ago may not reflect their current wishes and long-term care needs now. Find out what they have in place and have it reviewed to ensure their documents have stayed up to date as their life and the law has changed trough the years. 2. Determine How You’ll Pay For Long-Term Care- Nursing home and assisted living facilities can cost up to $8,000 a month and Medicare will not pick up the tab. In-home care can be equally burdensome for the average family. Medicaid may pay, provided you are hovering around poverty level. The only other option is pay out of pocket—unless, of course, you plan ahead. By acting in advance and not waiting until your hands are tied in a crisis, tools such as long-term care insurance, trusts and annuities may be available to help your parents pay for their care without losing everything they’ve worked so hard for. 3. Get The Legal Authority Now To Manage Their Affairs and Maintain Control- If your parents do not have a powers of attorney or health care directives that allow you to communicate with doctors, access medical records and manage their financial affairs, it’s a good idea to create them now while mom or dad is still in good health. Otherwise, if a sudden medical crisis strikes or your parents no longer have mental capacity to sign legal documents down the road, you’ll be forced to petition a court for control (read: major time and money lost). 4. Document Their End-of-Life Wishes- Thousands of families each year are torn apart trying to decide what their loved one “would have wanted” in serious medical situations. Avoid the stress and conflict by asking your parents their wishes about things such as life support, feeding tubes, organ donation, etc. and legally document their choices to ensure everyone is on the same page. 5. Get Organized To Avoid Last Minute Scrambling- Gather your parent’s important information now to avoid any confusion and delays in the event of a medical emergency. Some important documents to collect would include their insurance information, front and back of all ID cards including drivers license, prescription cards and military ID card, prior medical history, names and numbers of doctors, copies of their living will, health care directives and a list of current medication and doses. By being proactive and planning for these issues in advance, you can help make sure your parents always receive the care they need without worry or financial struggle. You’ll further avoid many costly legal headaches that adult children face when they are not prepared for their parent’s incapacity or ongoing care needs. It’s never too early to get started, so talk to an estate and elder attorney to determine the best ways to protect your parents, their assets…and your own sanity during the golden years. April 16th is National Health Care Decisions Day, which encourages local residents to have open conversations with their loved ones about their most personal wishes for health care, including thoughts on life support, feeding tubes, organ donation, long-term care and what is “qualify of life”. ATLANTA, GEORGIA (03/30/2012)- April 16th is National Health Care Decisions Day, which encourages local residents to have tough conversations with their loved ones about their most personal wishes for medical care. These conversations include wishes and preferences about life support, feeding tubes, organ donation and what you consider to be “quality of life” in the event of a long-term incapacity. According Steve Worrall, an estate planning attorney in Atlanta, Georgia, these conversations may be hard to have, but it’s the only way to make sure your wishes are honored and that your loved one’s stay together in a medical emergency. “I’ve seen many families torn apart trying to figure out what their loved one ‘would have wanted’ during a medical crisis,” says Worrall. “In some cases, families even spend years battling in court for control, much like Terri Shiavo’s family did,” he adds. Worrall says strife over health care decisions can be avoided by letting someone know your wishes and clearly documenting them. He says that legal tools such as a Power of Attorney, Health Care Directive and HIPAA forms are easy ways to let doctors and family members know how to manage your care if the unthinkable happens. “Medical crises can be emotional, and the only way to guarantee your wishes are honored and that your family stays together is to let everyone know exactly what you want and who you trust to make those decisions. It will make life easier for everyone in a true emergency,” says Worrall. For more information on documenting your personal health care wishes or about National Health Care Decisions Day, please visit Worrall’s website (www.georgiafamilylaw.com) or the National Health Care Decisions Day website (http://www.nhdd.org/). 1. Secure all property- One of the first things I advise families to do is to secure any property included in your loved one’s estate. This means immediately removing valuables and locking everything up tight (including garages and sheds!) to keep the property safe from criminals or vandals. This will also prevent other family members from picking through your loved one’s assets before the proper time. Request certified copies of the death certificate- A certified copy of your loved one’s death certificate can typically be ordered from the funeral home or in Cobb County, Georgia, you can apply for one through the Cobb County Public Health Department. You will need this death certificate to claim social security benefits, transfer property, close out bank accounts and handle any other financial affairs. Freeze financial accounts- You’ll want to take an inventory of your loved one’s financial affairs as soon as possible following his or her passing. Essentially you’ll want to make sure all automatic debits are stopped and a freeze is placed on all bank accounts and credit cards that are not jointly owned. It’s also a good idea to stop any automatic deposits scheduled to hit the bank account before you officially close it out. Locate estate planning documents and contact a probate attorney- 99.9 % of the time, families will need to contact a Cobb County estate planning attorney immediately following the death of a loved one. That’s because the administration of your loved one’s estate will depend on the legal documents he or she had in place at the time of death. So for example, if your loved one did not have a will or only had a will in place, you will need an attorney to assist you in filing with the probate court. If your loved one had a trust in place, you may avoid the court process, but will still need to contact an attorney to ensure the trust is administered properly and all expenses of the estate are paid. Relocate abandoned pets- If a loved one died leaving pets alone in the house, you should immediately take steps to place the animals with another family member, friend or local shelter. You may also want to contact your loved one’s attorney to find out if they had legal plans in place (such as a pet trust) to care for their beloved friends upon their passing. Contact social security- Social security must be notified following the death of a loved one. You should call them at 1-800-772-1213. Benefits will be stopped upon notification and you can also inquire about surviving benefits for a spouse or child. Open Benefit Claims- If your loved one had life insurance or was entitled to death benefits from his or her place of employment, union or civic organization, you must contact such organizations in the days and weeks following your loved one’s death to start your claims. Consider long-term care for the surviving spouse- If your loved one left behind a surviving spouse who is elderly and unable to live alone, consideration should immediately be given to his or her long-term care. This may range from moving in with another relative to hiring round-the-clock in-home health aides. Nursing home care may also be required in this situation, to which I’d advise you to consult with a Cobb County probate lawyer to discuss potential ways to protect your loved one’s assets before making such a move. Of course in addition to taking the steps above, I always welcome you to contact me, your neighborhood Cobb County probate lawyer for help. Our office can assist you in working through the legalities of your loved one’s estate and handling any estate administration needs. By simply mentioning this article, you can come in for a complimentary Georgia family Treasures Planning Session (normally $750). However, this offer is limited to the next 10 responders, so call 770.425.6060 to reserve your space. I’m not sure there are official statistics for this, but based on my years of experience as an Atlanta wills and trust lawyer, the number one reason people don’t do their estate plan is that they simply can’t face their own mortality. In a way, we are like the groundhog…occasionally we stick our heads out of our warm, protected, cave of ignorance to think about what would happen to our family if something unexpectedly happens to us. In regard to estate planning, are you the type to peek-out, see your shadow, and go back in to your safe and warm bunker and hide type of person? Or do you step out and face the day and charge full steam ahead? Interestingly enough, the tradition of the groundhog being afraid of seeing his shadow is a recent phenomenon. The tradition started as a medieval superstition that all hibernating animals (not just the groundhog) came out of their caves and dens to check the weather in early February. If the animal could see their shadow, it meant winter could go on for another 6 weeks which meant they could go back to sleep. A cloudy day meant spring was just around the corner and they could venture out. As you can see, shadow didn’t “scare” the animal back into the safety of their den. It was simply an alarm clock of sorts! So with that myth dispelled, I also want you to stop using the fear of your mortality as a reason for postponing doing your own will or trust. Simply think of estate planning as a way to ensure that your legacy will go to the people you want, in the way you want, when you want. It will also allow you to save your loved ones court costs, attorney’s fees and most importantly, will allow them to mourn your loss without the additional burden of dealing with government red tape, a chaotic court system and financial confusion. So, as we see all the news and excitement surrounding Punxsutaney Phil this year, take a long look at yourself and see if you are ready to make sure your family is taken care of no matter what. If your plans are sorely lacking, I invite you to give me, your neighborhood Atlanta will and trust lawyer a call to discuss your options. By simply mentioning this article, you can come in for a Georgia Family Treasures Planning Session (normally $750) at no charge. Call 770-425-6060 to reserve your space today. Guardianship is a topic we cover very extensively in our blog articles and in our ProtectMyKids Planning™ seminars. Today we want to share some practical considerations with you--things you should consider before naming one or more people to serve as guardians for your children. The intent is to encourage you to engage in proactive planning, and also to take some pressure off of you. The latter comes from realizing that until you actually die, your planning is quite flexible and can be changed to meet your wishes. Naming one or more people to serve as a guardian for your children in the event of your death or incapacity might seem very permanent, but again, it’s not. You can change the named guardians in your plan at will . . . right up until the time you pass away or become incapacitated. For that reason, it’s not enough that you set up a great plan initially. You must also review that plan and the continuing suitability of the people you’ve chosen. As circumstances change and people evolve, so might your choices. That’s where our law firm is unique. We have options available whereby we conduct an annual review of your plan each year just to make sure that our planning is still appropriate. We want you to sleep well at night, but we also want your children to receive the best care possible if something happens to you. It’s very important. Make sure you know the person or people you’re appointing very well. That means you need to spend a lot of time with them. Ideally, choose someone who is already a parent. That way you can observe and get comfortable with their parenting style. It’s also great if your children feel close to, and a sense of support from, the person you’re going to choose. You need to know and feel comfortable with things like religious beliefs, habits, where the person lives (so your children aren’t uprooted if that’s important to you), and how equipped the person is to help your children through a very difficult time. Does the person you’re considering have a home that is big enough to include your children? How about his or her relative health and financial stability, does that meet your standards? Financial issues can be overcome with additional planning on your part, which might include something like a term life insurance policy. But the real question is whether the person you’re appointing manages money well enough to make the inheritance last. You do have the option to name two guardians for your children, because it just so happens that raising children and managing money requires two different skill sets! One guardian would be the caretaker (“Guardian of the Person”), and the other would manage the money (“Guardian of the Estate”). If you consider this option, make sure the two guardians get along well, and make sure that they’re on the same page with respect to your wishes and what you believe to be in the best interest of your children. It’s very important that you act right away to name a guardian for your children. Remember, until you die, the decision can be “undone,” but if you die without having named a guardian, then the fate of your children will be left to the discretion of a total stranger . . . a judge. You have the ability to take control right now, and your words and planning will have the effect of law. In other words, a less than perfect choice is better than no choice at all. If you would like to discuss setting up a guardianship plan, please call our offices and schedule a time to speak with an attorney. If you mention this article by name and say that you’re interested in a ProtectMyKids Plan™, we will meet with you absolutely free of charge. As a wills and trusts lawyer in Atlanta, it’s easy to see why so many people put off writing their will. After all, no one really wants to think about their own death, let alone prepare for it. In reality, though, preparing by creating a will is exactly what we should all be doing. There are plenty of reasons to consider, and any reputable wills and trusts lawyer will be able to go through the list with you to ensure that you are protecting your assets and the people you love. Despite not wanting to think about death, the reality of it is inevitable. If you have not prepared by writing a will, then you are risking both your own wishes and the outcome for those you love. This may be especially important for parents. If you haven’t put together your will, then your children’s future can be in serious jeopardy. For example, you may assume that your property would simply pass on to your kids, but the courts may have other ideas. Additionally, other family members (such as a new spouse) may step in and take things that you intended for your children. The most extreme example, however, likely comes along with guardianship. In order to ensure that your children are raised in the fashion you deem appropriate, you need to specify their guardians. This is done through the will, and the best way to make sure your wishes are known is to work with a wills and trusts lawyer now, before the issue is completely out of your hands. Some Atlanta residents feel that they don’t need a will simply because they are married. They assume that if they were to die, their assets, property, children, etc. would automatically pass to the spouse. In some rare cases, this may not be true, as others may have a legitimate claim to an inheritance when a will hasn’t been written. It is heartbreaking to know that your spouse may not be the beneficiary of those things you most want him or her to have. Of course, there’s also the possibility of both spouses being killed at one time. In situations like that, there is no surviving spouse to speak up for the children or to have a say in the distribution of assets. Again, the courts will have a much bigger say in the outcome of your estate than you would probably like. Creating a will doesn’t have to be an overly-complicated activity, although it makes sense to consult with a good wills and trusts lawyer to ensure you are covering the basics and fulfilling any legal requirements applicable to Atlanta residents. While it’s certainly not ideal to spend time imagining what would happen to your family and assets after your death, doing so now can make an incredible difference later. I was interviewed this week on Atlanta’s NPR station, WABE 90.1FM, on the subject of making sure that all parents have a plan in place should an emergency strike during school hours. These preparations should include naming short-term guardians, listing the right people on school emergency cards and leaving detailed instructions with babysitters to avoid involvement with social services. If you have lost a loved one and are now attempting to close out their estate, we are sorry for your loss and we understand how frustrating the process can be. The steps to take after the loss a loved one can be overwhelming, but requesting a death certificate is a great place to get started. You will need a death certificate to complete many of the administrative tasks that you will face in the weeks to come, so it only makes sense to order a copy of this as soon as possible. While the exact process to order a death certificate can vary from county to county, there are basic guidelines that you can follow to make the request for a death certificate as quick and easy as possible. - I typically recommend ordering 8-10 copies of your loved one’s death certificate. As mentioned above you will need them for many tasks over the next few weeks, so it’s best to have them on hand. The easiest way is to order them through the funeral home, as there is generally a lag time when you order straight from the county recorder’s office. If you are still not sure how to properly obtain a death certificate for your loved one, or you need to know whether or not you should obtain one based on your responsibilities, contact our Cobb County probate lawyers at the GeorgiaFamilyLaw.com : Worrall Law LLC by calling 770-425-6060 to schedule a free consultation. Not only will we provide you with information on how to obtain a death certificate in Cobb County, but we can also help you navigate the complicated world of probate after a loved one’s death. Call today! All parents should have a plan in place should an emergency strike during school hours, according to Marietta, Georgia, attorney, Steve Worrall. Preparations include naming short-term guardians, listing the right people on school emergency cards and leaving detailed instructions with babysitters to avoid involvement with social services. ATLANTA, GA - “Do you think a school emergency card is enough to protect your kids if something happens to you during school hours?” asks attorney Steve Worrall to a crowd of parents attending his popular Protect My Kids! seminars last month in Marietta, Georgia. The majority of the room raise their hand yes. A few parents are undecided. Yet from a legal standpoint, all of them are wrong. “Contrary to popular belief, a school emergency card will not protect your children from spending time in the hands of social services if something tragic happens to you, “says Worrall. “The emergency card only gives named contacts permission to pick your kid up if they are sick, not take short-term custody of them if one or both parents are killed or incapacitated in an accident,” he adds. 1. Legally name short-term guardians for your kids- Short-term guardians are the people who have legal permission to care for your child until the surviving parent or long-term guardian can arrive. This should ultimately be someone who lives close by and one who will comfort your children in an emergency. 2. Make sure your short-term guardians match those named on the school emergency card- In addition to listing friends and neighbors who can pick your child up from school if he or she gets sick, it’s equally important to list the full contact information of your short-term guardians for true emergencies. Without this information, your children could be placed temporarily in the custody of social services until the surviving parent or legal guardian can arrive. 3. Make sure the babysitter knows what to do if you don’t return home- It’s extremely important that parents give their a.m. or p.m. babysitters detailed instructions on what to do and who to call if they don’t return home. In most cases, a babysitter will panic and turn to the police for help, again opening the door for social services to temporarily take custody of your kids until a long-term care provider can arrive. “Creating a back-to-school emergency plan is so easy--- and something that will greatly pay off if a parent is injured or killed during school hours,” Worrall says. “The first few hours after an emergency are the most painful for a child, so it’s important for parents to make sure their kids spend that time with people they love and trust, rather than in the arms of the state,” he adds. For more information on Marietta family estate planning attorney, Steve Worrall, please visit GeorgiaFamilyLaw.com or call 770-425-6060. You can also sign up for an upcoming Protect My Kids! Plan Workshop at http://www.meetup.com/Protect-My-Kids-Planning-Workshops/ or http://protectmykidsplan.com. The Supreme Court of Georgia ruled in favor of the mistress of a multimillionaire in a long-running legal battle that has captivated the legal community of this State. The Court ruled 4-3 and found that the proceeds from the sale of a Florida condominium should go to Anne Melican. This is the third time the case has appeared before Georgia's top court. The case pits the family of car dealership giant Harvey Strother against his mistress. Ms. Melican wheeled Mr. Strother into his lawyer's office shortly before his death in 2004 to overhaul his will. Strother's family claimed Melican should not receive the $1.36 million proceeds from the sale of the condo, and a probate judge agreed. But the Supreme Court reversed that ruling and found that Melican had the rights to the condo under Florida law. Now that your graduating senior is “legally” an adult, you can no longer make important medical or financial decisions on his or her behalf? Your graduating senior may still be your baby, but in the eyes of the law he or she is now an ADULT! That means you can no longer make important medical or financial decisions for your child without their permission. But let’s face it….your job of being a PARENT doesn’t stop just because your child turns 18. If there’s a medical emergency or your child asks for financial help, you NEED the ability to cut through the legal red tape and get involved. FACT: Doctors, hospitals or financial institutions will NOT bend the rules on this! It’s against privacy laws. You must have 3 KEY DOCUMENTS in place to make important medical or financial decisions on your child’s behalf (just imagine the nightmare of your child getting hurt hundreds of miles away at school and the hospital refuses to give you so much as a status update!). I call these 3 key documents the Parent Sanity Protection Kit, as they give you the legal permission you need to HELP your child and avoid more gray at the same time! This Parent Sanity Protection Kit is normally $350, but to ensure your child is protected before the summer or college starts, you can now receive this critical kit for just $150 when you call 770.425.6060 and schedule your appointment by June 15th. Graduation Gift for YOU, too, Moms and dads: Mention this blog post and receive a FREE Georgia Family Treasures Planning Session (normally $750) to go over YOUR will, trust or other legal documents! Having an “adult” child is a huge life-change for mom or dad too and your estate planning documents must be updated accordingly! An amazing new free resource is now available for Georgia parents to appoint guardians for your children and guarantee their protection in the case of an emergency or sudden death. Visit georgia.kidsprotectionplan.com to get started with your free legal documents! Naming guardians for your kids on this site is totally FREE with no strings attached! If you are not sure who you want to name as legal guardians for your children, our site will walk you through a foolproof process to help you choose the right people. You will NOT be solicited for legal services by naming guardians through this site. You will be given a certificate for a review of the legal documents you create by a Personal Family Lawyer, which you can use at any time. The information we gather from you is for legal document creation only! We respect your privacy and will not sell, give, or exchange your contact information with anyone. When you complete your guardianship nominations, a formal document will be sent to you via email to be signed by two witnesses of your choosing. Again, to keep this FREE, we’ve included a complimentary appointment with a Personal Family Lawyer to review your legal documents. As a Marietta estate planning lawyer, I know how common it is for each generation to avoid planning for their deaths. Few people are eager to spend time thinking about their own mortality, including the parents that raised and cared for us. Unfortunately, not spending a little time with an Marietta estates lawyer can end up costing more than just a little time. One of the most important things to remember when you’re discussing an estate is that it will be your parent’s legacy. It is not the only way they’ll be remembered, but it does give them the opportunity to have a say in what becomes of the assets they worked so hard to acquire. An experienced estate planning lawyer will be able to show them more options than they likely ever realized were possible. Just because you’ve grown and gone out into the world doesn’t mean that your parents don’t still feel the need to “parent” you. Taking the proper steps to plan their estate means that they can lessen the burden on their children and grandchildren at what is sure to be a difficult time. Let your parents know that you want to follow through on their wishes, and by planning in advance, you can make sure that happens. Acknowledging that our parents won’t always be here is a difficult thing to do, but it is a necessary part of preparing for the future. By introducing the topic in terms of protecting their legacies and their beneficiaries, it is possible to turn the conversation into one of empowerment. Once the subject has been brought out into the open, it’s best to take steps to speak with an experienced Marietta estates lawyer to make everything official. Estate planning is incredibly important for all parents, as it allows them the opportunity to make very difficult choices. It provides the chance to determine who will raise your minor children if you can’t, what money will be set aside or used for their upbringing, and even what money will be used to support them as adults. Each of these choices can become even more difficult when the child has disabilities, especially if he or she is receiving some type of government assistance. This is where working with an Atlanta special needs planning attorney comes into play. A special needs planning attorney is familiar with the most common choices faced by parents of children with disabilities and can offer advice and suggestions on how to plan for that child’s care. They also understand the ramifications of inheritance when it comes to eligibility for government assistance. Here in Atlanta, as in other places across the country, planning tools such as a special needs trust or supplemental needs trust must be set up a very particular way in order to meet government standards and allow for the continuation of other benefits. However, special needs planning is not just about maintaining government support. It also protects the disabled individual from lawsuits and other debts, as the trust cannot be seized in order to pay these. This protects the trust and the individual who relies upon it for his or her ongoing care. An Atlanta special needs planning attorney will be familiar with how local, state, and federal laws interact in order for parents to put together a plan that best protects their child. It is highly recommended that you seek out a lawyer who specializes in special needs trust planning. He or she will help set up your child’s trust, as well as explain all the details such as how a trustee will manage the assets for the beneficiary. If you are ready to get started in creating a plan that makes sure your disabled child stays physically and financially protected if something happens to you, I invite you to give our office a call at 770-425-6060 and schedule a Georgia Family Treasures Planning Session. These sessions are normally $750, but we’ve made space for 10 area families to come in this month absolutely free of charge. Simply call 770-425-6060 to reserve your free planning session today. I have a Special Needs Fredom Guide available for parents of children with special needs. You can request it here. Learn How to Take Charge of Your Child’s Future and Build a Fortress of Protection that Will Last a Lifetime! Get Insider Tips To Make Your Life Easier! The results are in, and I am proud to announce that the Georgia Wills, Trusts, Estate Planning and Probate Blog has been nominated as one of the LexisNexis Top 25 Estate, Probate and Elder Law Blogs of 2011. The voting isn't over, though. It is my passion and pleasure to educate my fellow Georgians about Wills, Living Trusts, Guardianship, Advance Directives, Living Wills, Healthcare Powers of Attorney, Probate, Estate Planning and More. If this Blog has been useful to you, I would be honored if you would support me with your vote to make this site NUMBER 1: the Top Estate, Probate and Elder Law Blog of the Year! You will need to be registered in order to vote. If you haven't previously registered, follow this link to create a new registration or use your sign in credentials from your favorite social media site. Registration is free and does not result in sales contacts. Once you are logged in, you can then vote by checking the box next to GA Wills, Trusts, Estate Planning & Probate Blog (Stephen Worrall), then submitting the results. The winner will be announced on April 20, 2011 so be sure to vote now! April is Autism Awareness Month, which seeks to educate the public about the needs and challenges facing those with autism spectrum disorders. Yet despite the observance, Atlanta special needs attorney Steve Worrall warns that many parents of special needs children are still in the dark as to 3 key planning steps designed to protect their child if the unthinkable happens. Atlanta, GA - April is Autism Awareness Month in the United States. According to AutismSpeaks.com, the disorder affects one in 110 children in the United States, with boys being four times more likely than girls to be diagnosed on the spectrum. The prevalence of autism has also increased 57 percent from 2002 to 2006, thus prompting The Centers for Disease Control and Prevention to refer to autism a “national public health crisis”. Yet while autism awareness is at an all time high, Atlanta, Georgia, special needs and estate planning lawyer Steve Worrall warns that many parents are still in the dark as to how to make sure their child is physically and financially cared for if and when death or incapacity occurs. “As much parents of special needs children hate to think about it, there will come a time when they are physically unable—or perhaps no longer alive—to oversee their child’s care,” warns Worrall. “That’s why long-term care plans must be put in place as soon as a diagnosis is made to ensure the child always stays physically and financially protected if the unthinkable occurs,” he adds. 1. Name Guardians- Worrall urges parents to immediately name short and long-term guardians who can oversee their child’s care if something unexpectedly happens to them. Without such designations in place, the child could end up in a lengthy custody battle—or worse—be placed in foster care if the unthinkable happens. Worrall advises parents to think outside the box and focus on finding someone whose love and dedication to the child closely resemble their own. Finally, parents should give copies of their designations to the guardians themselves, as well as the child’s school, babysitters and even the neighbors so everyone knows exactly who to call if a crisis strikes. 2. Set up a Special Needs Trust- A special needs trust is a legal tool that ensures a disabled child’s health care and living needs are taken care of if something happens to mom or dad. Worrall explains that while many parents have good intentions of leaving their child life insurance benefits or other assets in a will if they pass, leaving a child an inheritance outright could void their eligibility for Social Security or Medicaid in the future (which is often the only health care option available!). Instead, a trust helps to ensure that the child receives such financial benefits without actually having assets in their name—thus leaving all government benefits intact. 3. Build a Team of Support- According to Worrall, it’s never too early to begin building a team of trusted caregivers and advisors who can immediately step in and help the child if a crisis occurs. Such team members may include the child’s legal guardians, a trusted doctor, financial advisor, estate planning attorney and dedicated family or friends. Building such a team now also helps to ensure you have the right people in place, as opposed to someone who will prey upon your child’s disability in an emergency. I’m not sure there are official statistics for this, but based on my years of experience as a Marietta wills and trust lawyer, the number one reason people don’t do their estate plan is that they simply can’t face their own mortality. In a way, we are like the groundhog…occasionally we stick our heads out of our warm, protected, cave of ignorance to think about what would happen to our family if something unexpectedly happens to us. In regard to estate planning, are you the type of peek-out, see your shadow, and go back in to your safe and warm bunker and hide type of person? Or do you step out and face the day and charge full steam ahead? So, as we see all the news and excitement surrounding Punxsutaney Phil this year, take a long look at yourself and see if you are ready to make sure your family is taken care of no matter what. If your plans are sorely lacking, I invite you to give me, your neighborhood Marietta will and trust lawyer a call to discuss your options. By simply mentioning this article, you can come in for a Georgia Family Treasures Planning Session (normally $750) at no charge. However, this offer is limited to 10 this month so call 770-425-6060 to reserve your space today. According to Marietta elder law attorney, Steve Worrall, Alzheimer’s and Dementia awareness week (February 14th –21st) is the perfect time to have ‘tough conversations’ with aging parents about their wishes and plans should the disease ever strike. These are just three of many questions that experts are urging adult children to ask their parents during Alzheimer’s and Dementia Awareness Week (February 14th- 21st). Without the answers to such questions, families could be left battling over long-term care, struggling financially and not truly honoring their parent’s wishes should the disease unexpectedly strike. “So many families avoid talking about Alzheimer’s or Dementia until it’s too late,” says Marietta elder lawyer, Steve Worrall. “Especially from a legal standpoint, if you don’t know your parents’ wishes or the documentation they have in place, you could be left with a huge mess on your hands in the wake of this debilitating disease”. 1. Long-term care preferences- Does mom or dad want to live in a nursing home or would they prefer in-home care if the need presented itself? If they prefer a facility, what amenities and activities are important to them at this point in their life? These are questions that if discussed in advance can make the transition into an assisted living facility or a home-health care program much easier on everyone when the time comes. 2. Current Legal Documentation- It’s imperative that adult children find out what legal documentation their parents have in place before incapacity occurs. This includes making sure their parents have a power of attorney, health care directive and HIPAA forms so someone can easily step in to make financial or medical decisions on their behalf. Otherwise the family will be forced to petition a court for control over their parent’s affairs if they have passed the point of legal capacity. 3. Medical Preferences and Wishes- Adult children are urged to find out what type and how much medical care their parents want after receiving a diagnosis of Alzheimer’s or dementia. Do they have specific wishes about life support or other end-of life medical treatments? Who do they want to make such decisions on their behalf? The answers to these questions will help your parents to feel secure knowing their wishes will be carried out during an otherwise emotionally-charged time. 4. Current state of financial affairs- To ensure finances stay properly managed after a diagnosis of Alzheimer’s or Dementia, adult children should use this week to start asking tough questions about their parent’s financial affairs. This includes finding out the location of any safety deposit boxes, bank accounts, investment or brokerage accounts, outstanding debts or other assets unknown to the family. Otherwise, necessary assets needed to cover long-term care or other expenses could be overlooked when memory loss ultimately occurs. 5. Important contacts and information- While their memory is sharp, adult children should work with aging parents to compile a list of important contacts and information that will be useful to the family if memory loss occurs. This includes documenting key doctors, professional advisors (ie. accountant, attorney, financial advisor) and important passwords for online accounts. “While these conversations are certainly not easy to have, families can make the transition into living with Alzheimer’s or Dementia much easier by simply planning ahead,” says Worrall. “Not to mention, mom or dad will appreciate your willingness to make sure their wishes are honored if and when incapacity occurs”. So…What Exactly Does An Executor Do in a Georgia Probate? If either of these scenarios sounds familiar, it might be a good idea to know exactly what an executor does under Georgia law before you make a commitment either way. The executor of an estate in Georgia is charged with taking care of a person’s final business on earth. You are responsible for protecting the deceased person’s property until all the taxes and debts are paid and making sure that everyone else receives what they’re entitled to under the estate. That can be a huge task or a small one, depending on the size and complexity of the estate. As an executor, you don’t have to be a legal expert or an accountant but you do have to be honest, impartial and detail oriented. As an executor, you’re charged with a “fiduciary duty” (which means a duty to act in good faith and honesty) in all business of the estate. If you fail to carry out this “fiduciary duty”, you could be held legally liable for that failure. This is a serious consideration when deciding who to name as your executor or whether or not to accept appointment as the executor of someone else’s estate. Again, depending on the size and complexity of the estate, you could feel like Switzerland in the middle of warring factions for a long time until everything is settled. Make sure your nerves are up to the task before you sign on. · Finding and managing the deceased person’s assets until they’re distributed to the heirs of the estate. You may be asked to make decisions on whether or not to sell certain assets or keep them in the estate. · Determining whether or not the will needs to be sent through probate. If there is a surviving spouse, many of the assets that were jointly owned may pass on to the spouse without the probate process. Always consult an estate planning lawyer to determine what needs to be done. · Determining who actually inherits property. If you’ve been named as an executor, chances are that your loved one left a will. That makes this part of the process much easier. If your loved one died without a will, you could have a serious chore ahead of you. · Take care of any necessary court filings. Even if the probate process is not necessary, the will still needs to be filed with the probate court. If it turns out that the estate does need to go through probate, you could have a substantial list of filings to take care of. · Handling the day-to-day grind. This could be a laundry list of little details that need to be taken care of to close out an estate. You could be cancelling credit cards, notifying the Social Security Administration and Medicare of the death, stopping mail deliveries from the Post Office, determining who takes care of pets, and the list goes on. Make sure you have the time and the ability to handle all these daily details before you agree to the task. · Setting up a bank account for the estate. If you don’t have signature authority on the decedent’s bank accounts (and you probably won’t), you will need to set up an account to take care of the expenses involved in wrapping up the estate. Any insurance payments, stock dividends or final paychecks will go into this account to pay ongoing bills such as a mortgage or property insurance until the estate is settled and the assets are distributed. A word to the wise - keep thorough records of all sums coming into and going out of this account to head off any potential problems with heirs to the estate. · Paying taxes. Yes, a final income tax return has to be filed for the deceased person and it will cover the period from the beginning of the tax year until the date of death. If the estate is a large one, state and federal estate tax returns will need to be filed as well. Take another look at the list of duties we just gave you. Stop and seriously think about all the things that would go into settling your estate - who needs to be paid, what needs to be sold, who gets what - and then make a decision on who would be the best person you know to handle all that. Once you have someone in mind, talk to them about it at length. Show them our list and make sure they’re okay with handling this much detail in someone else’s life before you name them as your executor (or before you agree to be the executor of someone else’s estate). Call us to schedule your Georgia Family Treasures Planning Session today. As part of our Georgia Family Treasures Planning Session, we will sit down with you and go over a list of what needs to be done with your estate and give you an unbiased opinion on your options for an executor. Our Georgia Family Treasures Planning Session is normally $750, but this month I’ve made space for the next five people who mention this article to have a complete planning session with me at no charge. Call us at 770-425-6060 today and mention this article. As I mentioned in my last post, I had the opportunity to appear today on CBS Atlanta's Better Mornings Atlanta morning news show. Here is a link to the segment. May it be a great one. 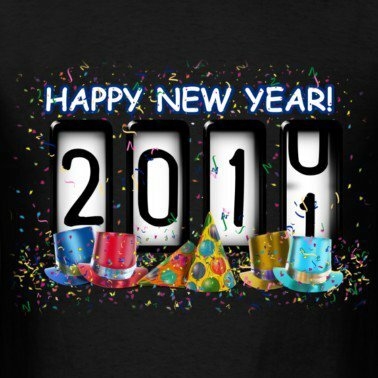 We wish all our clients and friends a happy, safe and prosperous New Year 2011.
and we look forward to continue serving you this coming year. I’m excited to announce that I will be appearing on the 6AM segment of Better Mornings Atlanta (CBS Atlanta) next Tuesday, January 4, 2011. Please tune in or set your DVR to watch! I’ll be interviewed on the topic of Adding Estate Planning to Your Resolutions for the New Year. If one of your New Year’s resolutions this year includes getting your financial and legal affairs in order should something unexpectedly happen to you, I have a gift I know you’ll enjoy. To be specific, you can now download a free report I wrote entitled, “What You Don’t Know CAN Hurt Your Family: 5 Easy Ways to Make Sure Your Children, Wishes and Assets Stay Protected Should Something Happen to You”. You can download a copy at GeorgiaFamilyResolutions.com. In this report you’ll learn 5 easy ways to get your legal and financial affairs in order, just in time for the New Year. You won’t even need the help of an attorney for some of these important steps; simply follow the instructions in this guide and cross each item off of your “to-do” list as you go. The difference between a will and a trust, and which tool you really need to make sure your family, wishes and assets stay protected upon your passing. To get your copy, simply go to GeorgiaFamilyResolutions.com. Avoiding probate in Cobb County, Georgia, is a very real concern for people who want to make sure certain assets such as stocks, bonds, brokerage and bank accounts automatically pass to their heirs upon their death. In such a scenario, Transfer on Death Agreements (also known as TOD’s) can be a very useful and convenient estate planning tool in making sure your loved ones are financially taken care of in your absence. Essentially, Transfer on Death Agreements allow you to pass ownership of your accounts directly to a beneficiary of your choosing when death occurs. Without such designations, each account would have to go through the probate court before it can be distributed to your desired heirs. Well for starters, many people wish to avoid involvement with the Cobb County Probate Court simply because it could take a year or longer before the funds actually reach your desired beneficiaries. This is problematic for families who desperately need the assets to pay for burial expenses, outstanding medical bills, mortgage payments, and general living expenses. Not to mention, the value of your assets passing through probate may be reduced by as much as 5%, as mandatory attorney and court fees will be taken directly out of the estate. Finally, one of the greatest drawbacks of probate is that the value of your assets will be made public for the whole world to see. This aspect of Cobb County probate is especially troublesome for people who do not want every scam-artist or busybody in town knowing what their heirs stand to inherit upon their passing. Yet it is important to remember that while TOD agreements will help you avoid probate on some of your assets, it won’t help you avoid probate on the rest of your personal effects such as jewelry, collections, family heirlooms, the contents of your home, etc. Nor will TOD agreements help you minimize the amount of estate taxes your family might have to pay upon your passing or protect your assets if incapacity and not death occurs. That’s why it’s so important you speak with a Cobb County probate attorney before making any decisions about your financial or legal affairs. While a TOD is indeed a useful estate planning tool that can help you avoid probate, it may not be the best – or the only tool your family needs to ensure they are protected should something unexpectedly happen to you. Fortunately, we’ve made the process of meeting with a Cobb County probate lawyer easier than ever by offering free Georgia Family Treasures Planning Session (normally $750) to anyone that takes the time to read this informational article. However, these sessions are limited to 10 per month, so call 770-425-6060 to reserve your spot today.